24 years, 0 month, 1 day old age. Jubin Shah will turn 25 on 22 April, 2020. Only 11 months, 29 days, 20 hours, 27 minutes has left for his next birthday. Jubin Shah has celebrated the total number of 24 birthdays till date. See the analysis by days count and bar graph. Jubin Shah was born on 22-04-1995 in Surat in the state of Gujarat, India. 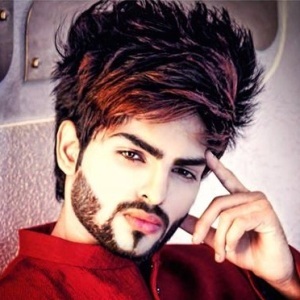 He is an Indian Instagram Star, YouTube Star, Social Media Star, Fashion Influencer and Model. Jubin Shah raised in Mumbai and also presently lived in Mumbai. He is a noted fashion influencer and the Instagram star who has around 1,000,000 followers on Instagram at the end of the year 2018. He was made the brand ambassador of clothing line Ektarfa and posted several images of himself boasting the brand. His good looks and distinctive hairstyles earned him a lot of followers. He also has a YouTube Channel which he was start from 26-11-2014. After starting the channel, he was not most active on it. But now he updates regularly with upload new videos and has gained around 50k followers and 1,500,000 views till 31-12-2018. He has a sister named Shree Shah. Instagram Star Sameer Mark is one of his best friends. 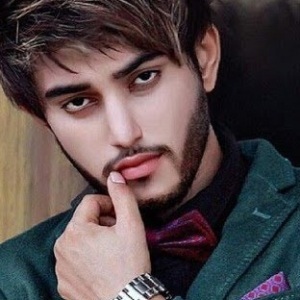 He was in a relationship with another Instagram Star Afsha and get married to her on 12-01-2019. He was born in Surat but raised in Mumbai. He enjoys a respectable amount of presence on social media and almost all her posts get around 100k likes. He had nearly 500k followers on Instagram in 2017 which was reached one million at the end of 2018. He has a YouTube channel also which has around 50k followers till 31-12-2018. He is very supportive and close to his friends.